Album In A Day volume 9 - 6th September 2014 - BFW recordings netlabel - ambient shoegaze indie experimental electronica - music is free! On Saturday 6th September 2014, musicians from around the world each wrote and recorded a complete new song, from scratch in one day. 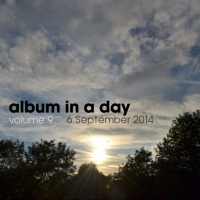 The result is a wonderful mix of a whole range of music from musicians around the world, all completely written, performed and recorded on Saturday 6th September 2014.